Do you keep seeing the angel number 33? If so, the angels are sending you empowerment. Keep reading to see what the angels want you to know. Click here for more Angel Numbers. Not sure what angel aumbers are? Read this first: An Introduction to Angel Numbers. The angel number 33 is a very spiritual and emotional number. It carries the energy of many spiritual and religious aspects. Such as the ascended masters, the holy trinity, and the third eye. It is the energy of our physical lives being connected and intertwined with the spiritual. Seeing this number after prayer, meditation or using positive affirmations means your prayers have been heard and are being answered. The angel number 33 resonates with a very high, positive, nurturing, and uplifting energy. It is the embodiment of love and caring and the desire to teach and help others. Because of this energy, it is known as the most influential of all the numbers. To fully grasp the energy of the angel number 33 you can look to the ascended masters. Those who teach us that all things are possible especially when you act with love and for the greater good. The angel number 33 is the number of the ascended masters. And therefore, embodies the influential nature and spiritual mastery of these leaders. The Ascended Masters view the world and all its inhabitants with unconditional positive regard. They are influential teachers of love. Healers and selfless helpers of all people. They reach out and uplift the physical world to heightened levels of spiritual enlightenment. The angel number 33 carries joy, optimism, creativity, and the youthful energies of the angel number 3 double. And combines it with the nurturing energies of the angel number 6. It is the energy of blessings, compassion, helping, guidance, and inspiration. It also resonates with the energy of courage, loving discipline, and honesty. The angel number 33 builds upon the spiritual purity of the master number 11 and the master number 22‘s ability to build spiritual ideals into the physical. Combining and building upon these energies the angel number 33 passes these powerful energies on to others as loving, thoughtful, and factual spiritual guidance. The energy of the angel number 33 teaches us to love ourselves and others equally. It encourages us to reach out and touch the lives of others. Teaching them, healing them and loving them. It is the energy of selfless service that is done with joy, love, and optimism. It is the energy of the teachers of truth, love, and compassion. Those who have an innately powerful ability to influence others. The energy of the angel number 33 is idealistic, supportive, devoted, and sincere. It is joyful and selfless. The angel number 33 has a very loving, spiritual, and influential energy. Those who frequently see the angel number 33 are guided to selflessly learn and pass on spiritual guidance, help, and healing. They are encouraged to find ways to creatively teach others what they have learned. To uplift and empower the world around them. Unlike other numbers, master numbers have a duality. They can be a blessing or a curse. To benefit from their energy, we must learn to harness and master it. Otherwise, master numbers bring difficulty and challenges. Those who frequently see a master number have a larger life purpose and generally more challenges to overcome. So, it is imperative that you pay attention to these messages from your angels and learn to harness its power. When the messages of the angel number 33 are not mastered you may experience its difficult side. Including suffering with addiction, being a perfectionist and overbearing on yourself and others, critical, meddling, irresponsible, indulgent, self-absorbed, self-destructive, easily disappointed, and crippled with strong negative emotions. If you repeatedly see the number 33, it is a message from the angels to love yourself and pass it on. ﻿Here is what the angels are telling you. The angel number 33 is commonly seen by those who are feeling overwhelmed and incapable of achieving their goals and dreams even though they are on the right path and are living a spiritual life. In other words, you’re doing everything right, but your thoughts and emotions are getting in the way. The angels are encouraging you to find your own inner-peace and trust in yourself, your talents, and your instincts. This is a message that you are capable and already doing things right, but your need for perfectionism and control is holding you back from your purpose. You may even appear to be critical and judgmental of yourself or others due to your need to get everything perfect. This need for perfection is holding you back from achieving your purpose. The angels are showing you that you are important and have what it takes to accomplish your goals and live according to your purpose. Trust your instincts and pay attention to the messages of the angel number 33 to help you overcome any obstacles that are holding you back. By seeing the angel number 33 the angels are letting you know you have a spiritual life purpose. The angels are encouraging you to focus on your spiritual nature and abilities. You are meant to heal, inspire, teach, create, and bring love into the world. The ability to do so will come naturally for you. Focus on bringing more love into the world and to the world’s inhabitants. Use your natural creative ability to reach people in new ways and to help and heal. The joy you receive from giving and helping is infectious and will influence the world and the people around in very positive ways. When you see the angel number 33 you are being shown that your connection to an Ascended Master is strong. This Ascended Master is supporting, guiding, assisting, and protecting you. Ascended Masters help us to manifest desires, find peace, understanding and love, and they help us see ourselves and others through the eyes of God. Your assistance may be coming from any Ascended Master that you feel a strong connection with. Including Jesus, Buddha, Quan Yin, a saint or any spiritual or religious figure. This is a sign to let go of fear and doubt and walk in faith. You will receive assistance for whatever projects or changes you are considering. So, you are being encouraged to go through with them. There is no need for worry or concern. You are being protected and taken care of. The angel number 33 is a message to work on having strong inner-balance. You may be in a place where you are experiencing some very strong emotions. Including extremes of both positive and negative emotions. These emotions can feel overwhelming and get the best of you. To deal with these emotions, the angels are encouraging you to focus on your spiritual connection and create balance within. Do this by confronting your own “stuff.” Look inward and heal yourself. Let go of what no longer serves you and realize that your past does not define your life or who you are. This is a call to find your true-self and understand who you really are amongst all the chaos of living a physical life in a physical world. Seek balance between your current physical existence and your spiritual connection. The angel number 33 is a call to find and focus on your priorities. Those who frequently see the angel number 33 tend to take on too much and try to be everything to everyone all the time. The angels are encouraging you to learn to say “no” and keep your focus on what is most important to you. Don’t spread yourself too thin. Figure out what your priorities are and put your focus on them. If you are currently facing a difficult situation or a problem, the angel number 33 is letting you know to look at the situation as a whole picture. Avoid getting caught up in the details. Take a step back and remove yourself from the situation so you can clearly see it for what it is. Be sure to double check the facts as the angel number 33 carries the energy of well-informed and researched information. The message of the angel number 33 encourages you to focus on spreading love and helping others. However, it is also a message to let go of the need to help everyone. There are those who are just not willing to accept your help and you need to be able to accept that and let it go. To continue trying to help them becomes meddling and controlling and will push people away and discourage them. Allow others to take responsibility for their own actions. Treat them with love and offer help but understand not everyone will accept it. The angels are reminding you to take care to not feel disappointed when others are unwilling to change or accept your help. Keep in mind that we all must walk our own path and have our own journey to take. Not everyone will see the world the way you do. Everything happens for a reason and sometimes we need to let people go their own way – even if you know they may wind up worse off. Let those people go and instead focus on helping those who want it. The angel number 33 is a call from the angels to MASTER loving yourself and knowing yourself before you help others. Really get to know yourself and who you are. What are your goals, desires, ideals? What is most important to you and what is the best way for you to achieve it? Once you really understand yourself, your talents, and your instincts use those to assist and heal others. The angels are letting you know that it is very important for you to work on yourself and have a deep loving relationship with yourself before you can serve your purpose of spreading love and helping and healing others. Do you have any experience with the angel number 33? If so, share it with us in the comments section below. If you want to learn how to really understand the deeper and more personal message of your angel numbers. Be sure to pick up a copy of my book Angel Numbers Mastery: Everything You Need To Know About Angel Numbers and What They Mean For You. Life with Angels: Blog Series. 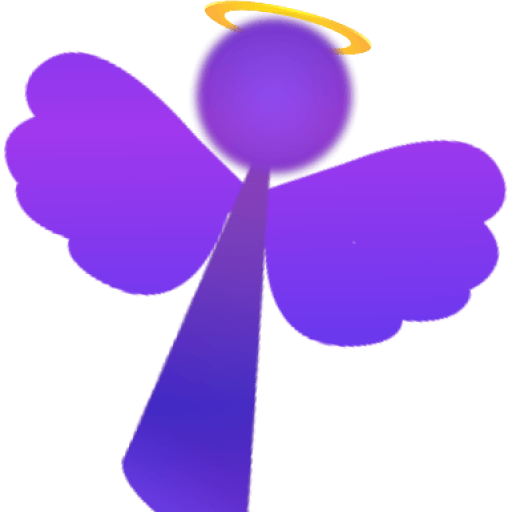 Want to learn more about having the angels in your life and how to connect and communicate with them? Check out the Life with Angels Series. If you found this post helpful please share it with others. You are more than welcome to use the information contained in this post for any personal or not for profit purposes. Please cite Sarahdawn Tunis as the author and include a working link back to this page. Sarahdawn is no stranger to depression, anxiety, and negative thinking. That is until her life hit the proverbial rock bottom and an angel whispered in her ear. Since then, Sarahdawn has been dedicated to helping others discover the power of angels and spirituality. She has a B.A. in psychology and an M.A. in counseling psychology from the University of Colorado at Denver. The trouble with attracting a specific person back into your life really has to do with free will. In order to attract him to you, he has to want to come back. This makes it very difficult to know if the angels are telling you that your attempts to attract him are working. My best advice is for you to keep meditating, doing positive affirmations, stay positive and visualize being with your soulmate and what being with your ideal partner will feel like. But be open to the possibility that your perfect partner may or may not be your ex. He may come back for a fresh start or there may be someone new and better out there for you. I keep seeing repeating numbers. The most common are 1:11 and 33. During this time I’m usually thinking of someone that I like and have liked for about three years now he was my high school crush, I just never had the guts to tell him. Now I’m in college and no longer see him. I’m just wondering if I’m manifesting him back into my life ? Or is it just a coincidence I happen to think of him and see these numbers. I’m also grateful for this article. This is exactly what I needed to read because I feel the need to do what everyone aske of me and never really have time to myself. I also am overcome with emotions and need inner healing. This made me know I am on the right path. I am so grateful to have found your post, and there is no doubt in my mind that it was meant for me. I have been seeing this number for quite some time. First, it was 11, then 22 now 33. I can definitely relate to your entire message and I thank you from my heart. Be Blessed! Hi! I'm Sarahdawn.My blog is all about taking the unseen parts of our physical life (the metaphysical world) and using it to end depression, anxiety, and emotional pain - so you can co-create and live a life of abundance, health and happiness. Here's to you and your life full of joy! This site contains affiliate links. Please see the terms and conditions to learn more.